PFPB raises funds through sales of our exclusive merchandise, hosted events, auctions of donated artwork, and donations from our hundreds of thousands of fans. PFPB is a registered 501c3 not-for-profit organization. Because of this, funds raised return directly to the cause. Our tax returns and accounting are transparent and publicly accessible, and everything we do is accomplished with the dogs in mind. First and foremost, we are a group of humane educators. PFPB works alongside dog trainers, behaviorists, rescue organizations, and other animal welfare groups to obtain only the most recent, well researched information possible. Funds are used to create educational materials, train our staff of volunteers, and host educational seminars and programs for the public. PFPB believes that education is the key to combat breed discrimination, animal cruelty, and pet over-population. We collaborated with Kansas-based Game Dog Guardian to create a set of educational materials and quick fact guides that will help any dog owner or animal lover effectively and logically defend their companions against breed discriminatory laws that threaten their cities and towns. We also seek to keep this type of information updated with the most recent, factual, scientific-based research that we can endorse to help all communities. PFPB also directly helps individual dogs in need, rescues and shelters. Most of our volunteers are directly involved in their own rescue work in their communities. Our founder is an active volunteer with the Asheville Humane Society’s CGC program. She also assists with HSUS Animal Rescue Team when called upon, and most recently assisted on a puppy mill/hoarding bust in GA in 2017 where she adopted a little Pomeranian named Pepita Nugget O’Possum. In the past, she was on the front lines of the Winslow Township dog hoarding bust, helping humane law officers handle, treat, and re-home over thirty pit-bull type dogs seized from one property along with rescue efforts following Hurricane Katrina and Hurricane Sandy. PFPB has also assisted in numerous emergency rescue situations. In 2017, we saved 1,009 dogs from death row. In 2016, we saved 1,003 dogs. Since 2014, when we finally started tracking this, we have saved nearly 3,500 dogs from death row. We believe that all dogs should be considered for rehabilitation, and all dogs deserve a chance. In the past, PFPB sponsored the health care and veterinary bills for countless dogs. This included victims of severe cruelty, Willie and Kate, who suffered axe wounds to their skulls before they were rescued. Leonidas the Brave, a puppy who was dangled over a fence as bait for fighting dogs, lost two of his limbs and was sponsored by PFPB. We will support any rescue organization or shelter that is pit-bull type dog friendly, practices humane training methods, and believes that each life is worthy of its time. PFPB supports positive reinforcement training, smart dog handling methods, and an overall sense of proper dog ownership. While this support is not always monetary, we have access to our vast network which can assist in almost every case. Our courtesy posts also provide marketing relief for the overtaxed rescues, shelters, and individuals in need. We provide a unique resource to our community so that each organization can focus on what they do best! It’s a group effort and we are proud to be able to work together with so many wonderful people to help our beloved fur friends in need. Walking nicely is a life skill that when missing can significantly and negatively impact the human-canine relationship resulting in fewer walks, less exercise and a decrease in social exposure for the dog. For this reason DogNostics developed the “Walk This Way” workshop options to support you, supporting and educating clients and pet dogs in your community. This DogNostics program can be used for private one-on-one training sessions, a group class curriculum or a workshop event. Flexible professional programs to meet your every need! Click to purchase the “Walk This Way” Program. Download Professional Conference Audio Recordings including 2017 Pet Professional Guild courses which includes Deirdre Franklin’s presentation on fighting BSL. Downloads also include many other incredible animal welfare conference courses. Click the image below for more info. We have partnered with some amazing humane educators over the years. 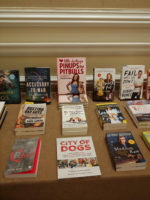 This has included Animal Planet’s “Pit Boss,” Luigi “Shorty” Rossi; as well as author of the bestselling book Oogy: the Dog Only a Family Could Love, Larry Levin. We have also worked with The Pet Professional Guild and recently became a Best Friends Network Partner. 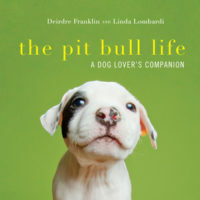 PFPB raises awareness for the plight facing pit-bull type dogs and shelter dogs of all breed types in the world today. PFPB regularly focuses its efforts to garner positive media attention through its direct following at events throughout the country and abroad. 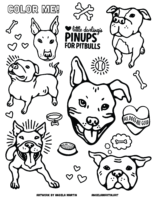 PFPB hopes that every person they reach will embrace our message, share it, and help to change the current status for pit-bull type dogs around the world. Fight Fiction with FACTS: Deirdre Franklin’s Master’s Thesis (Case Study) on Breed Specific Legislation is now available online on the HSUS Animal Studies Repository. Franklin, Deirdre S., “Public Policy: Community Safety Through Breed Bans?” (2013). Animals and Public Policy. 1. The Pet Professional Guild OPPOSES Breed Specific Legislation. Read their Position Statement here. Read what the experts say here. Ask anyone who fosters dogs and they’ll tell you that everyone says it. The kids wouldn’t be able to stand it, though, right? Forming an attachment and then saying goodbye? In fact, in Denise Dunn’s case, fostering was her daughter’s idea. OK, so maybe the kids are good with it, but what about the dog you already have? Hey sailor, would you like to talk about why laws that ban or otherwise restrict the ownership of pit bulls aren’t an effective way to promote public safety? 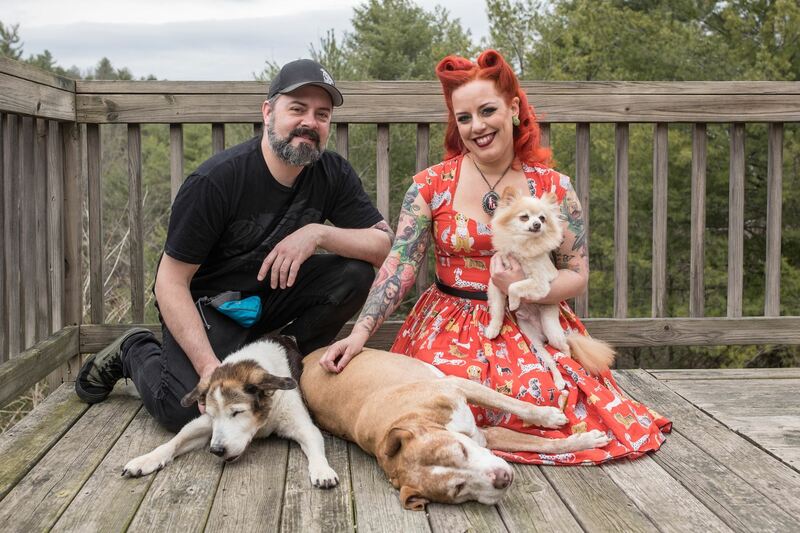 The founder of Pinups for Pitbulls, Franklin is a burlesque performer going by the stage name “Little Darling.” She got involved in the dog cause while volunteering as a teenager at a Philadelphia animal shelter that had a policy of putting down every pit that came through its doors. After one especially heartbreaking euthanasia, she sought out a pit bull of her own, and came to adopt a pup named Carla Lou from a Texas rescue group who shipped the dog even though Franklin was so young and far away. Read more here. In December, 2013, The Journal of the American Veterinary Medical Association (JAVMA) published the most comprehensive multifactorial study of dog bite-related fatalities (DBRFs) to be completed since the subject was first studied in the 1970’s.1 It is based on investigative techniques not previously employed in dog bite or DBRF studies and identified a significant co- occurrence of multiple potentially preventable factors. Read the rest of the article here. Check out our Dog Training FAQ that was compiled by our dear friend and trusted partner in the betterment of the human-canine bond.